Representatives of the Russian Armed Forces have stated that the US is creating a military infrastructure near Russia’s borders for the application of a sudden nuclear strike. 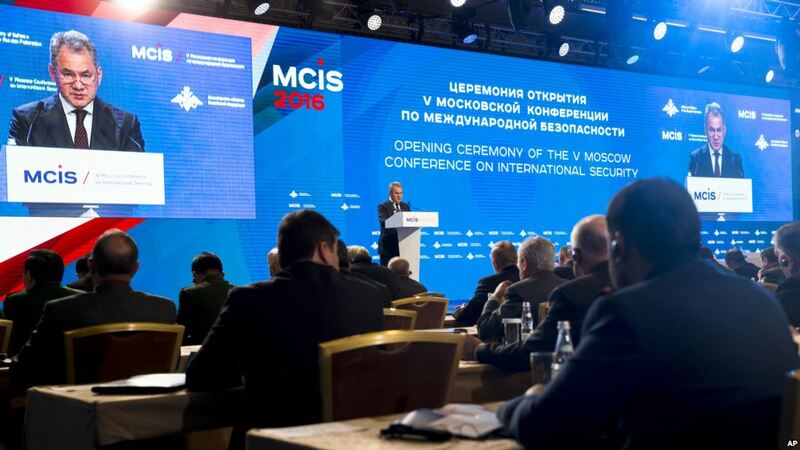 This statement was made on April 26, the first Deputy Chief of the Main Operations Directorate,Viktor Poznihir, at the Moscow international security conference of the Russian Armed Forces. US missile defense bases in Europe, ships with missile defense elements in the seas and oceans close to the territory of Russia, creates a powerful hidden impact component for the application of a surprise nuclear missile attack on the Russian Federation. Poznihir said that the European echelon of the US missile defense system uses ground-based version of radar systems and missile launchers maritime defense system. These launchers provide the use of a wide range of missiles, including Tomahawk cruise missiles. .
Tomahawks are designed to destroy ground targets and have a maximum range of 1,700 to 2,500 kilometers (depending on the version). One Tomahawk can deliver nuclear warheads ranging from 5 to 200 kilotons of TNT. In fact, the cruise missile, the Tomahawk, is equipped with a nuclear warhead of intermediate and shorter-range missiles. Back in 1987, the US and the Soviet Union signed the Intermediate-Range Nuclear Forces Treaty to liquidate the weapons, in order to halt the arms race. Over the past 15 years, the US government has spent $130 billion on strengthening and deployment missile ‘defense’ systems, and plan to invest another $ 55 billion in the next five years. Thus, by 2022, US will have more missiles ‘defenses’ than there are warheads in Russia. It was stressed that Russia will be forced to take measures to protect itself from exposure to a sudden strike, and missile defense.